Sleep hot? Just love the feel of cool, crisp bedding at the end of a long day? Freeze™ Pro is the answer! By allowing your body to do less work while sleeping to maintain a constant temperature, you can rest easier and awake refreshed with more energy. The outer fabric is Phase Change Material, a technology created by NASA to keep astronauts cool. 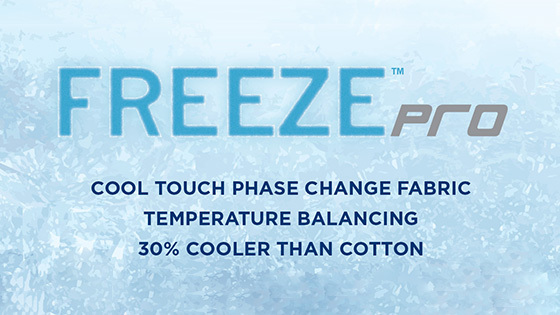 This gives Freeze™ Pro bedding a cool touch feeling for up to 10 minutes!